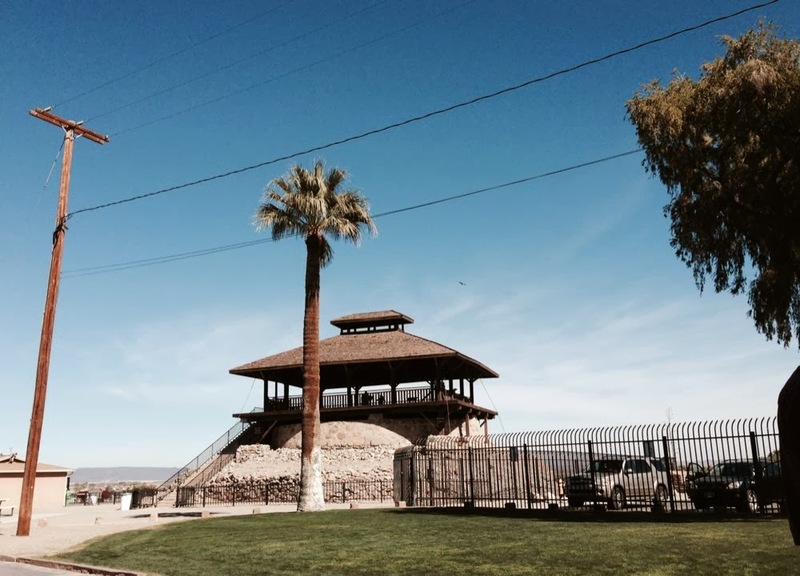 After breaking camp at our wonderful boondocking site near Borrego Springs we headed to Yuma. I needed to attend a business meeting in Phoenix. So, we decided to find a commercial campground where JoAnne could hang out while I drove our tow car to Phoenix for a couple of days. We ended up at Arizona Sands. It isn’t fancy, somewhat loud, but for this short stay, it suited our needs. 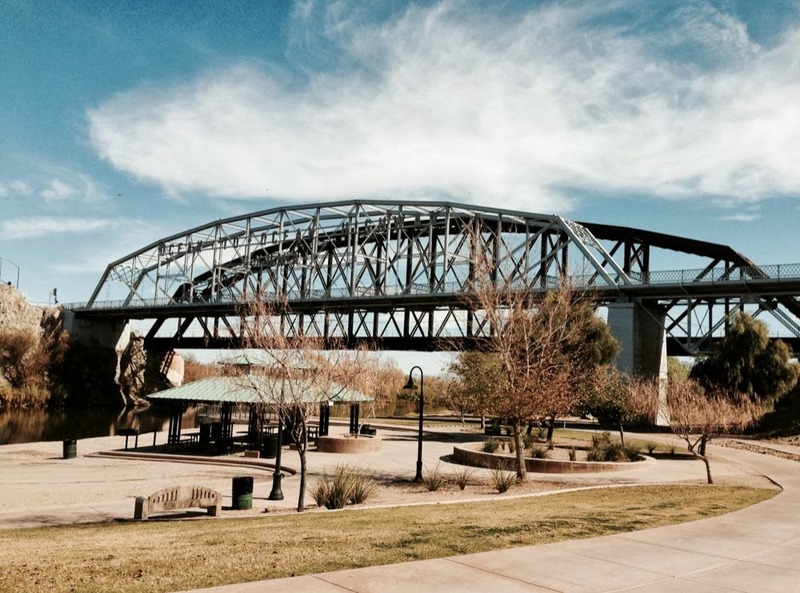 This was our first trip to Yuma and we now know it was far too short a visit. Wee didn’t get a chance to really explore Yuma. 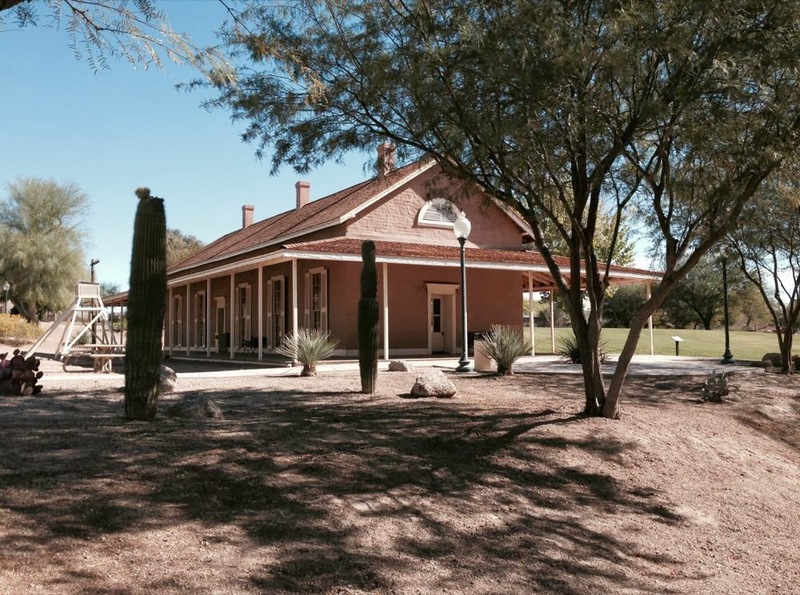 Although while I was at my Phoenix meeting Lois, Hal and JoAnne visited the YumaTerritorial Historic Park which is a picturesque park packed with tons of information about the history of the area. 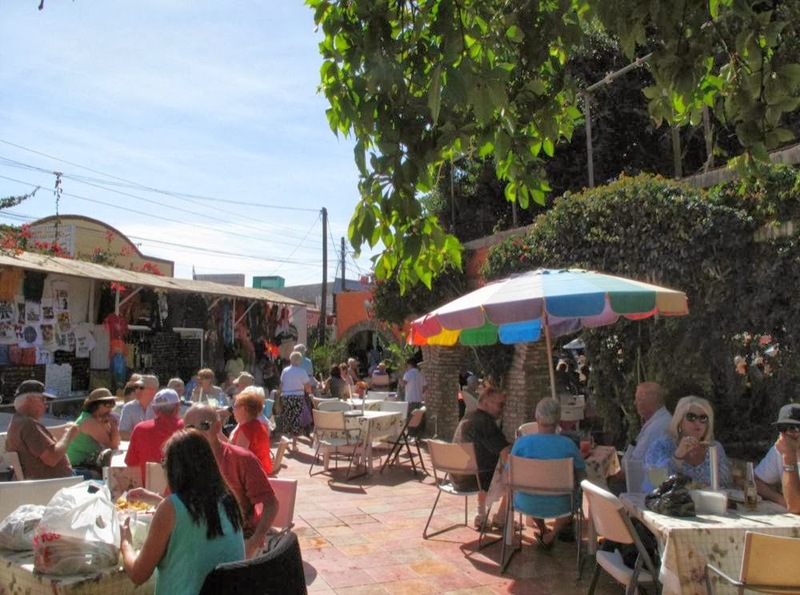 The Park had been one of the “seedy sides of town” but has been completely restored and now hosts impressive wetlands and historic buildings. Upon my return, we all made a visit to the YumaTerritorial Prison. The prison is clearly one of the main tourist attractions in the area. On our visit, we took the time to join a guided tour. The 45-minute tour is included in the $6 admission fee. It was very informative and I would recommend it. 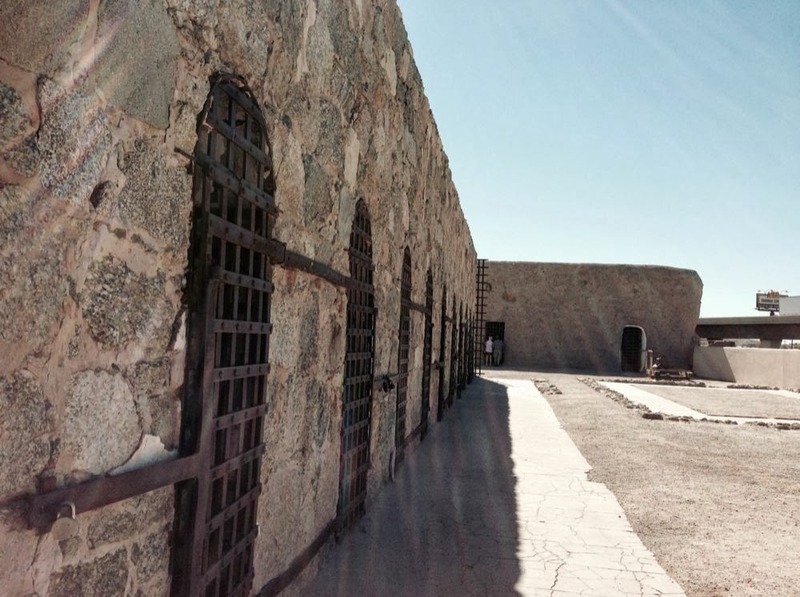 If you plan on visiting the prison – check around as there are lots of Yuma guide books that have $1 dollar off coupons. 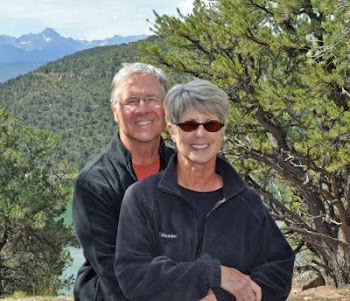 Coincidentally, a blog we follow, “The Boondocks” by fellow RVers Leeanne and Gary just wrote a review of their recent visit. So, no need for me to write what they have already completely covered. Check out their great post here. 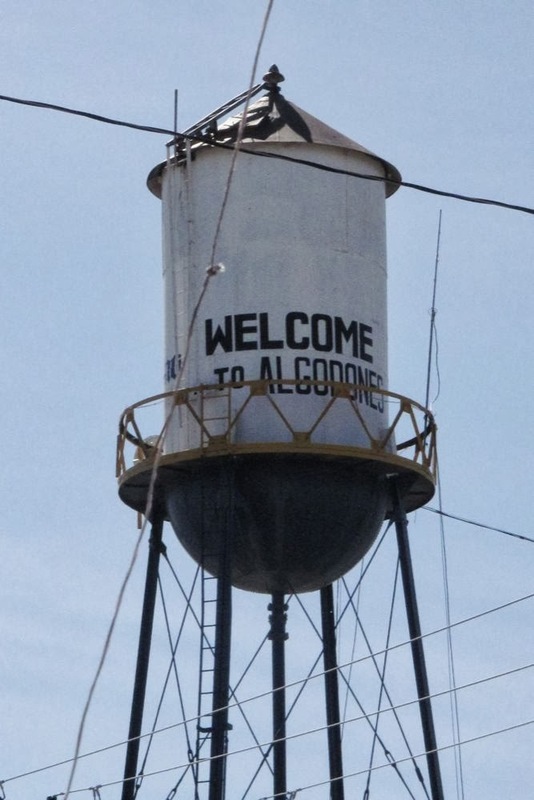 JoAnne and I planned a trip south of the border to Algodones, Mexico. No, we didn’t need any dental work but we both wanted to get an extras set of eyeglasses. So, off to Mexico we went. 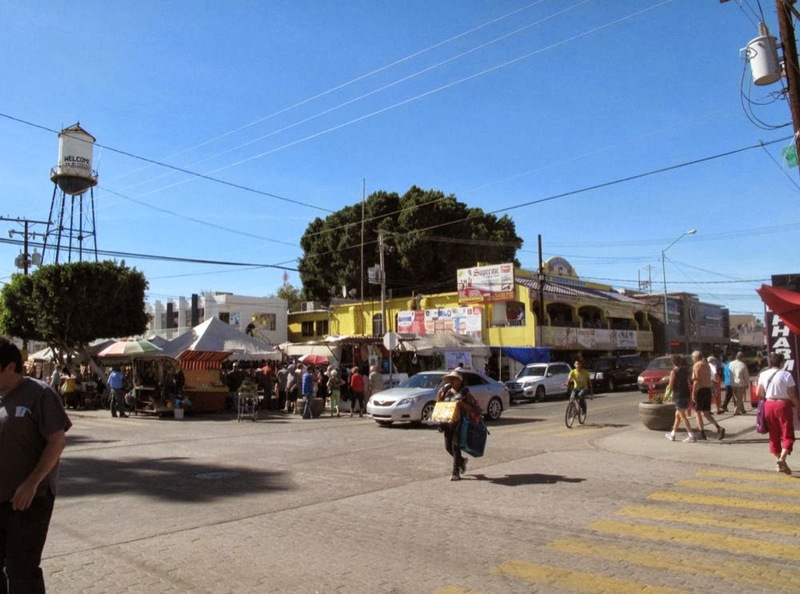 Like most tourists crossing into Mexico, we parked our car in the huge parking lot right at the border paid the $6 dollar parking fee and walked into Mexico and Algodones. We arrived around 10am and the place was already humming with activity. The streets were filled with “older” US and Canadian citizens. 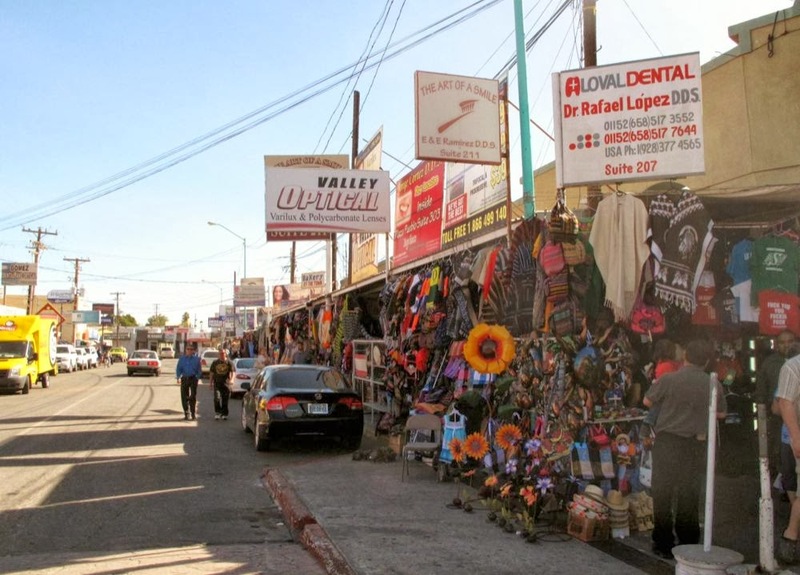 Street vendors greet you with flyers advertising dental, prescription drug and optical services. There is live music. There is the splash of bright color from the shops and signs. There are streets lined with small shops. 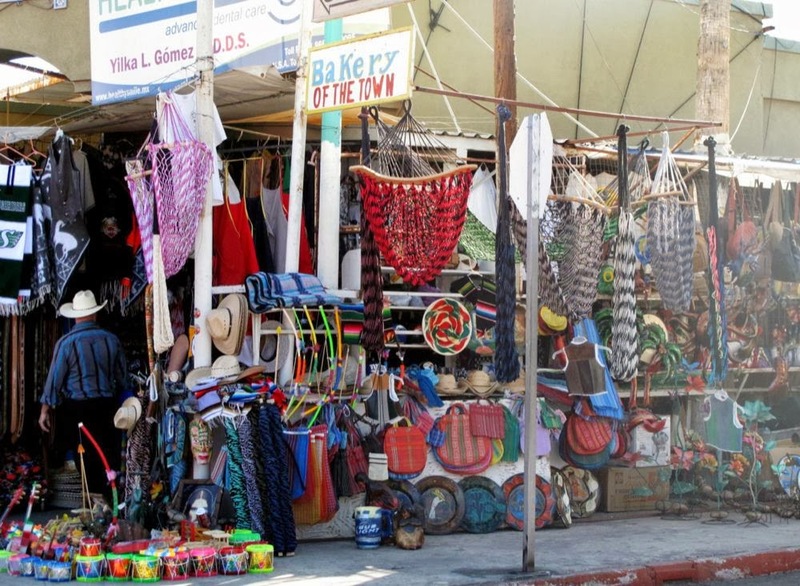 There are street vendors selling fresh vegetables and all sorts of trinkets. 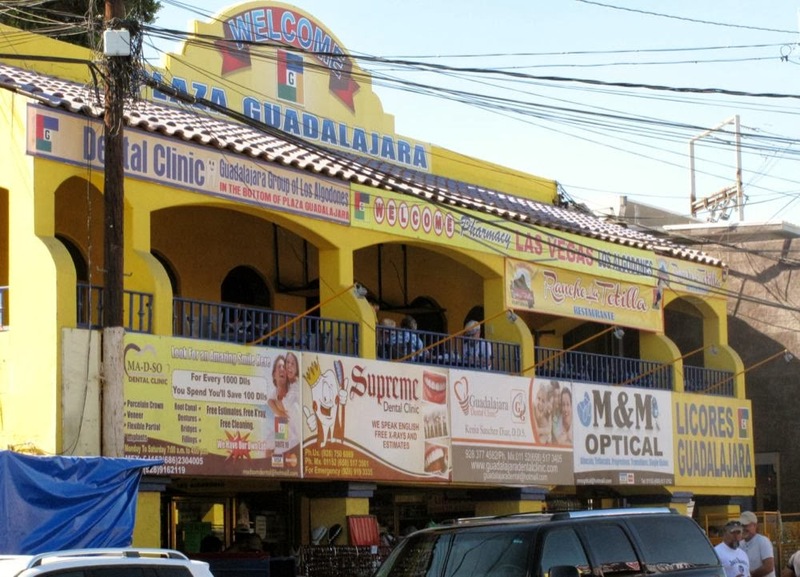 Then there are the big drugstores, dental and eyeglass offices that line the streets for about a 4-block area. We spent a couple of hours just roaming through the shops and taking it all in. 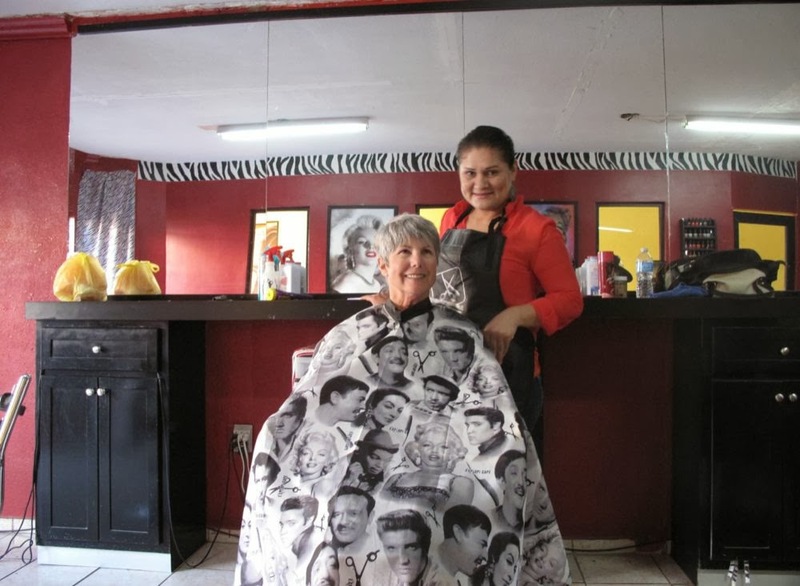 We stopped along the way to get haircuts. Mine was $5 and JoAnne’s was $6. 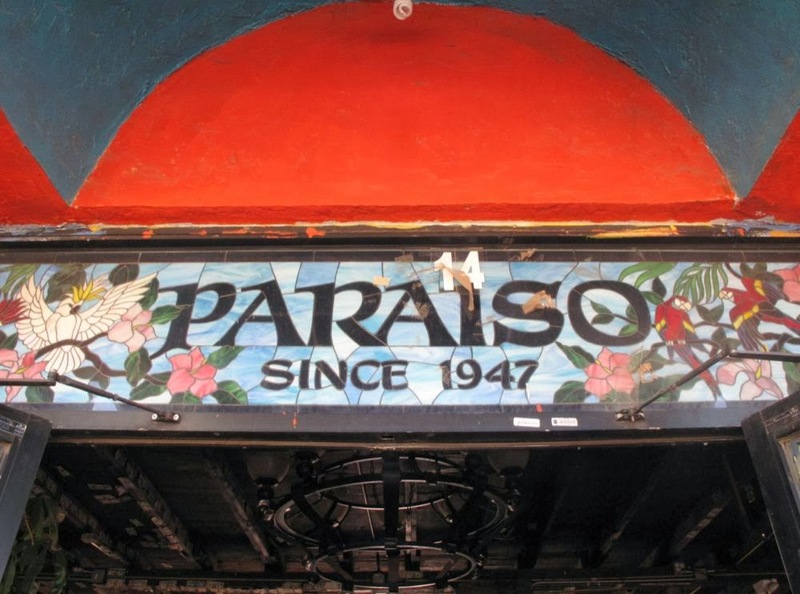 After the haircut we decided it was time for lunch and headed for the El Paraiso. After lunch we decided it was time to locate a shop for our glasses. 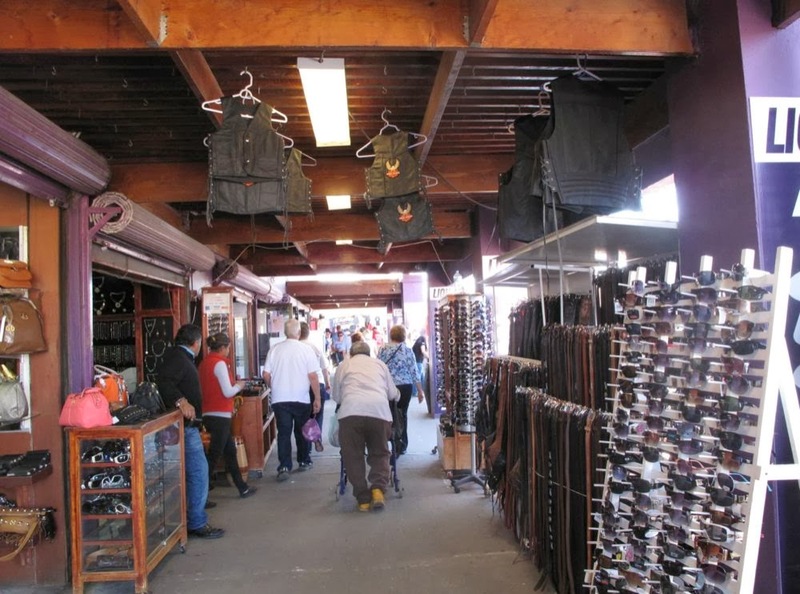 As we roamed around we had walked through several eyeglass shops looking at the frames. 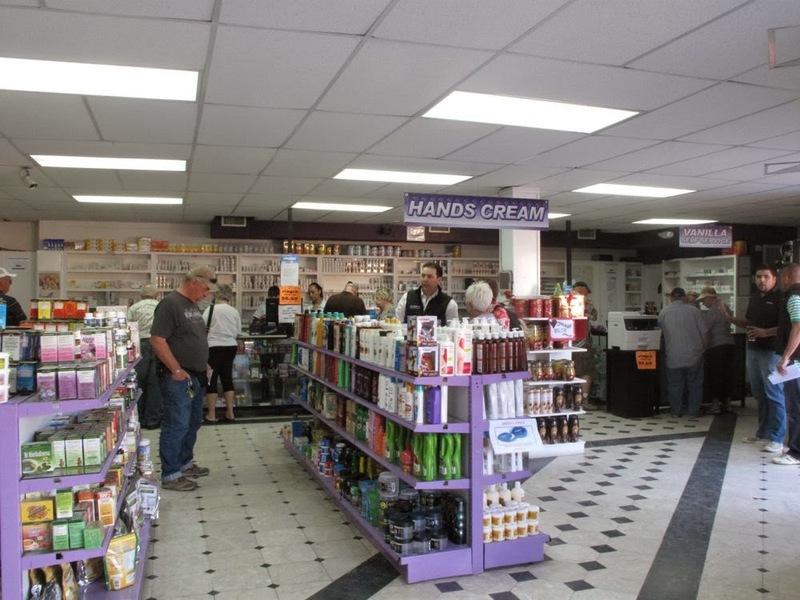 As it turns out, many of the stores are owned by the same company and have the same inventory. 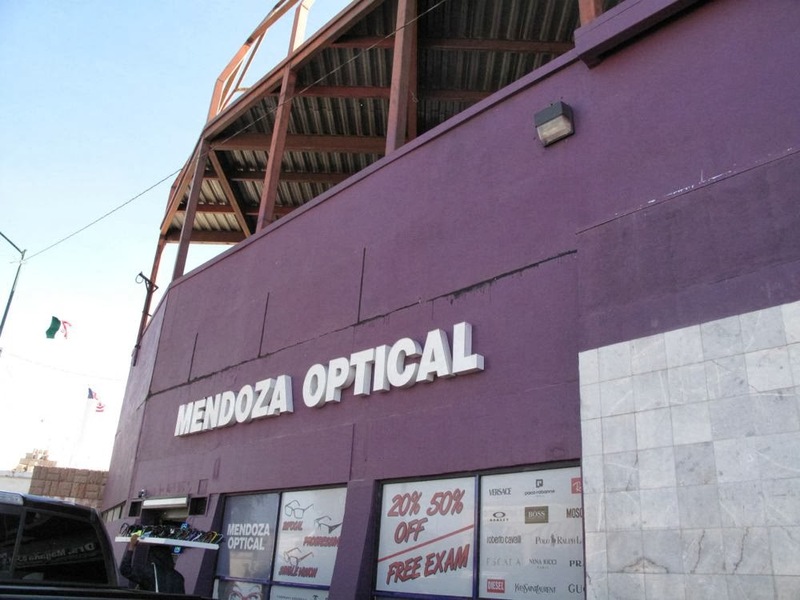 We ended up at Mendoza Optical, which is in the big purple building right as you first enter town. We were helped by a friendly sales associate who took our order and put us in line for our free eye exam. While we had brought our prescriptions from back home and didn’t really need an exam we figured what the heck. After about 15 minutes we were called for our exam. An optometrist who used all the same type of equipment our eye doctor in Broomfield, CO uses performed the exam. He was very thorough. 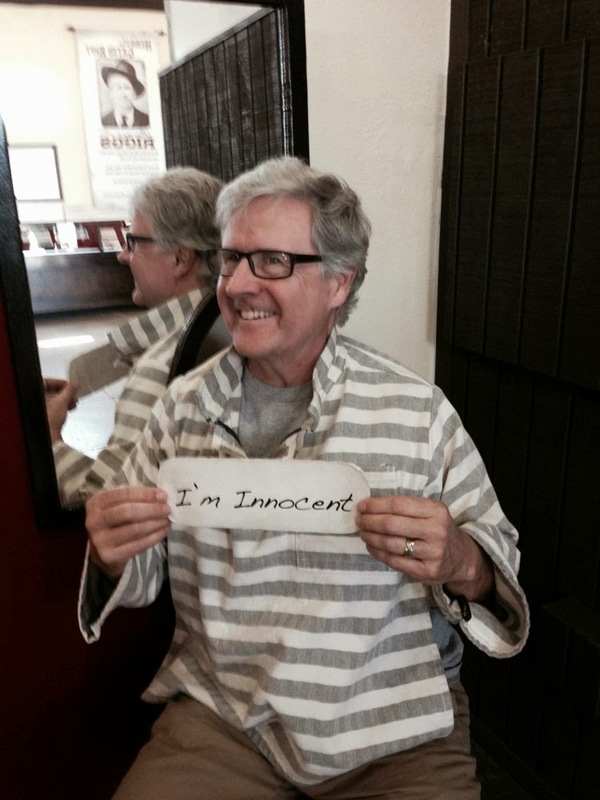 In fact, I mentioned I was having trouble reading with my progressive lenses. After he did some measuring and checked out my lenses he informed me that the progressive area of my current lenses was too low and that was what was causing the problem. We got our prescriptions and we ordered our glasses. Since we had waited so late in the day, we were not able to get our glasses the same day (usually they can have your glasses ready in a couple of hours). We came back the next day and picked them up. 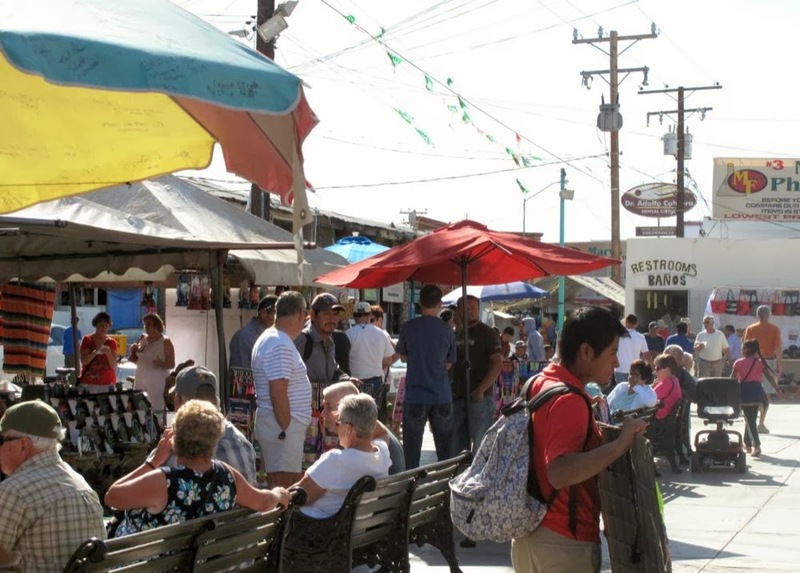 Our Algodones experience was great. Everyone we met was friendly and helpful. 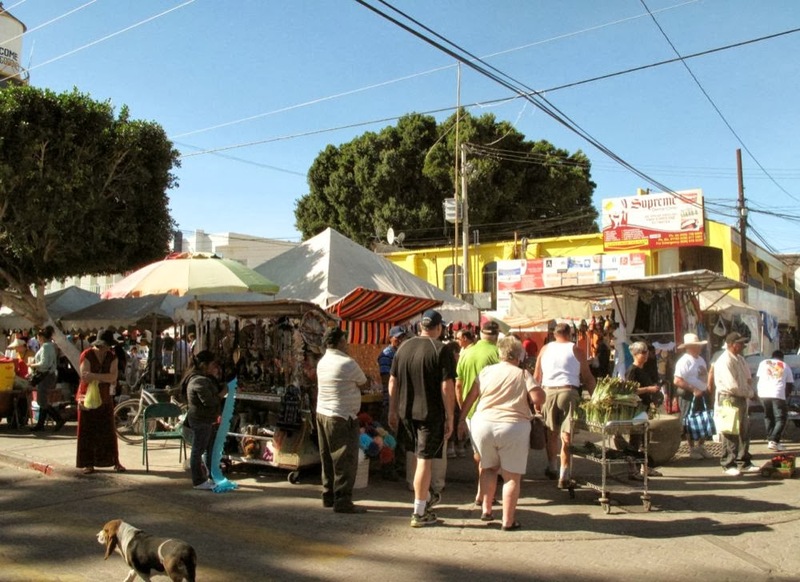 Yes, there are lots of street vendors but we found them very courteous (is that an oxymoron?) and when you said “no thank you” they left you alone. Actually, many of them had a great sense of humor and were fun to talk with. Getting back into the US did involve about a 30 minute wait the first time when we crossed around 3:00pm but when we went back to pick up our glasses early the next day we didn’t have any wait. Yes, our trip to Yuma was far too short. 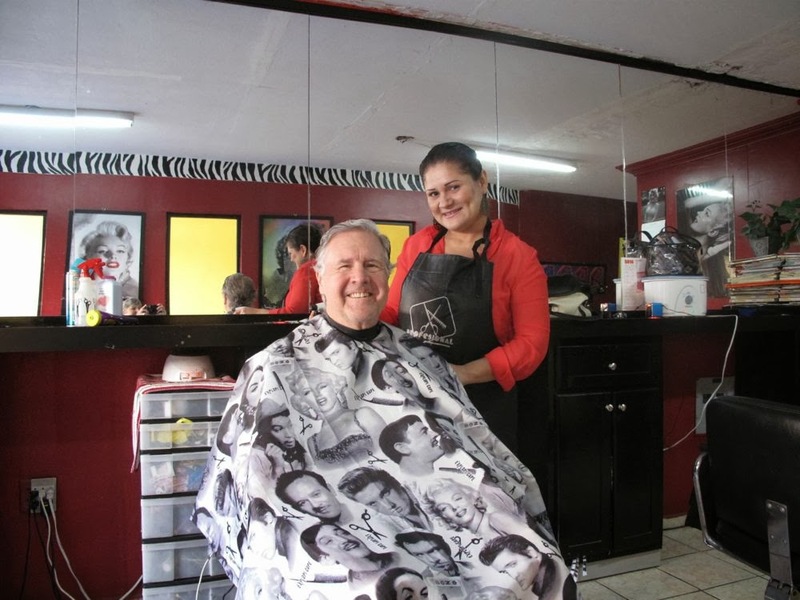 We will definitely plan on coming back next year and spend a lot more time in the area – which will include a trip to Algodones for any needed dental work.